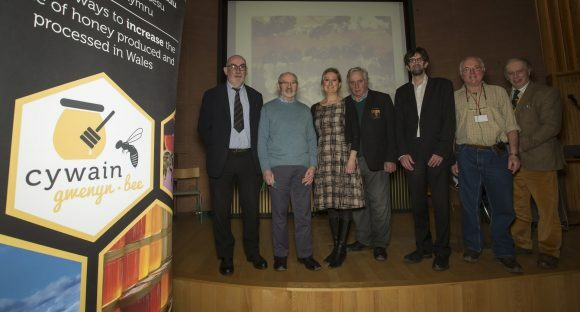 Native honey bees and their role in honey production has become a hot topic for Welsh beekeepers – with more than 100 gathering in Machynlleth today (Thursday) for a special conference to highlight the fortunes of local honey bees. The aim of the free event, which was held at the Centre for Alternative Technology, was to look at benefits of using native and near native Welsh bees and the impact on honey production. 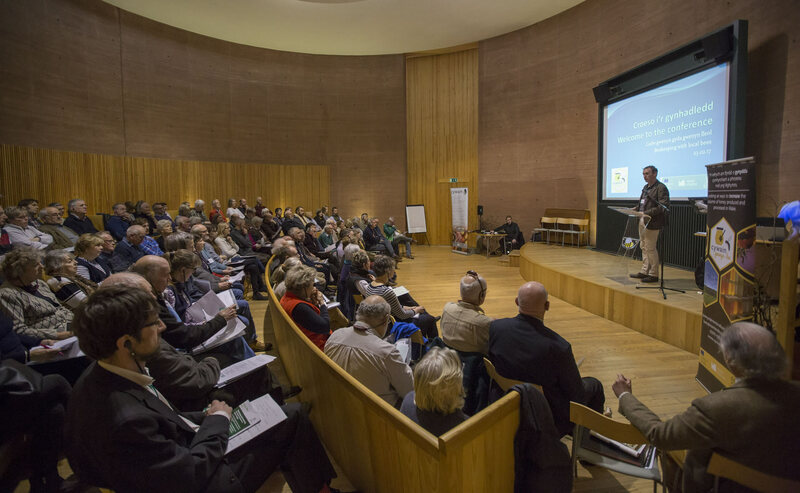 Hosted by Cywain Bee; an initiative launched two years ago to support Welsh beekeepers and increase honey production and marketing in Wales, the conference attracted beekeepers from across Wales. The event featured presentations from a number of UK experts in bee keeping as well as from the Welsh Government and Bangor University, with speakers covering a wide range of topics relating to native bees – from hands-on advice to news about technical advances. In his presentation West Sussex beekeeper Roger Patterson highlighted recent research carried out across Europe by honeybee organisation COLOSS, which was produced using data from 621 colonies in 11 countries, and in all cases indigenous bees were found to perform the best. While Bangor University lecturer Dr Paul Cross, discussed the exciting development of miniature vibration energy harvesters for battery-less tracking of honeybees. These tiny devices will enable the long-term evaluation of navigation loss of bees and use vibrations from the bee to create a self-sustained radio-tracking device, which transmit signals to automated drones. Beekeepers Steve Rose, Kevin Williams, and Willie Robson gave personal accounts. Denbighshire-based Steve Rose highlighted queen rearing in North East Wales and colony selection and emphasised the desirable colony characteristics including: adaptability to the area, gentle, healthy, non-swarmy, productive, economic use of stores, and purity of queens and drones. Another keen supporter of local bees is Teifi Valley solicitor and beekeeper Kevin Williams who talked about the history and traditions of beekeeping in Wales. While Northumberland bee farmer, Willie Robson of Chain Bridge Honey Farm gave his perspective of using native bees. His family-run business has around 1,600 hives and uses traditional beekeeping methods and native black bees to specialize in cut comb honey production, and exports a range of products worldwide. Also among the speakers was Lampeter beekeeper Peter Jenkins who inherited his hives bees from his father Griff – an authority and author on Welsh bees. A passionate advocate of native bees Peter told the conference of his and his father’s experiences of beekeeping – in particular rearing queens – and the benefits of keeping native bees (Apis Mellifera Mellifera) as opposed to imported Mediterranean strains. Using native breeds of bee may not result in as much honey being produced in the short-term, but their natural compatibility with their surroundings and the fickle Welsh climate makes them a better and more consistent source of honey. “While native bees may produce less honey under ideal conditions than foreign bees, natives are nearly always able to get some honey and, being frugal, their stockpile lasts longer, which also benefits the beekeeper,” he said. However, keeping Welsh strains of bees pure is increasingly difficult due to the fact that queen bees mate on the wing, and the importation of bees by some beekeepers that are not always suited to the climate and conditions, resulting in problems such as aggression and excessive swarming. Said Mr Jenkins, “Apis Mellifera Mellifera have evolved over millions of years to survive and prosper in our fickle climate. If nature has decreed Welsh bees suitable for our country then why go against it? Queen bee mating can’t be controlled, which results in unwanted crossbreeding with local mongrel drones. This is not good in the long-term and often leads to aggressive and non-productive bees. Funded by the European Agricultural Fund for Rural Development and the Welsh Government, Cywain Bee is a satellite of Cywain – a project set up by Menter a Busnes to bring added value to primary produce within the agriculture sector. 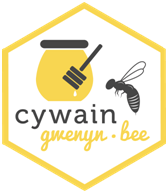 Since its launch Cywain Bee has held a number of workshops and events and it is their success, which led to more than 100 beekeepers attending today’s conference. “The event started as a workshop and soon developed to be a conference as the interest was overwhelming from across Wales,” said Cywain Bee Development Manager, Haf Wyn Hughes. Dr Simon Bilsborough, Senior Nature Conservation Policy Lead, Welsh Government; Kevin Williams, Willie Robson, Roger Patterson, Peter Jenkins, Steve Rose, Dr Paul Cross. (Left to Right) Peter Jenkins, Steve Rose, Haf Wyn Hughes, Willie Robson, Simon Bilsborough, Roger Patterson and Kevin Williams. Hive Talking: Welsh beekeepers at today’s Cywain Bee Conference at the Centre for Alternative Technology in Machynlleth.